Sean Proctor Reviews - See what others are saying! 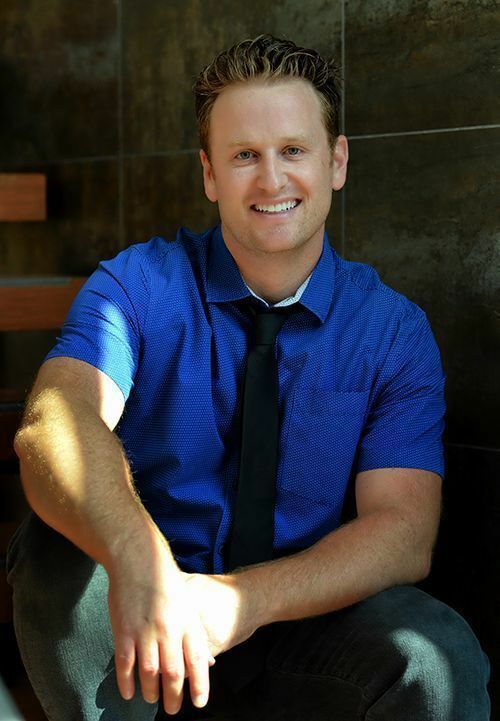 I am Sean Proctor, your friendly real estate Broker Associate, located in sunny San Jose, CA. We were totally shocked with how smooth the whole process was. Sean was always very good with giving a time when he would get back to us, kept us in the loop with every step of the process, and went through all the inspections at the house for us. Sean taught us so much in the short amount of time he was helping us and we are very thankful for him. After a little over a month from getting in contract, we received our keys from Sean! He was responsive to every request, question, email, and phone call. He is knowledgeable about the industry and worked skillfully with my lender to ensure things went smoothly. He patiently took the time to explain every part of the financing, escrow, and home buying process. I felt relieved/lucky to work with someone who truly worked with my best interests in mind. This is a tough market and it can be a stressful process but I had the best agent by our side. I can’t recommend Sean enough! I have worked with real estate agents in the past and my biggest complaint was lack of communication. In addition to how great it is working with the broker owner, Sean's communication skills are impressive and a major bonus. He was always responsive, answering his phone at all hours of the day to answer any questions I had, and always making sure I was kept abreast of what was happening at each step of the transaction. To me that was crucial. Since Sean is the owner of Sean Proctor Real Estate he even listed and sold my condo for less than the 2.5% commission every other agent I interviewed wanted. So you get an amazing level of service while saving money in commission ! Sean is an All Star and I would recommend him to anyone! Fast, prompt and really has your interests at heart. We met Sean two years ago at an open house where he was the listing agent. Over the course of two years he would spend time with us as we explored the housing market and never rushed us into a purchase. After returning from our wedding in March 2017, we started looking at homes more seriously. In 6 weeks, Sean was running around with us as we put in 18 offers (All 50K-110K over asking). One of the weeks, Sean was getting married, and another week he was on his honeymoon. Literally 3 hours before his wedding, Sean was writing up offers and submitted them. Even while on his honeymoon he was submitting offers for us. Literally the weekend after he came back from his honeymoon we went to look at a few open houses and ended up with the home of our dreams. A++ performance and ultimately our 18th offer was the winner! Sean was the entire package, he showed us the homes, did the offers, and recommended a credit union to give us the best interest rate! Sean Proctor is an outstanding real estate agent with a confidence and competency that comes from years of experience. As an out-of-state seller, I put my trust in Sean to manage the sale of a townhome that I inherited. Sean stayed ahead of the transaction at every stage, anticipating issues and resolving them quickly as they came up. He gave great suggestions and always conducted himself with the highest integrity. Sean and his family have a cleaning and staging business, which was a godsend when it was time to clear out junk, clean, and prepare the property for sale. I have bought and sold dozens of properties in my home state, and Sean is on top of the podium as an real estate professional. He has a totally easy-going and no-pressure attitude. Give Sean a call and let him be your shepherd though the complicated landscape of California real estate transactions. Yes, he's that good. Sean Proctor is a top notch real estate agent and the best in the bay area. He helped us purchase our very own first home. He was very patient with us and understood exactly what we were looking for in a home. We had spoken with various other real estate agents and none of them took the time to get to know our genuine interests. Until we met Sean and he opened so many opportunities for great homes to us. He would not push his own opinions on us and instead, was very willing to go above and beyond to find us the exact home we desired. He also took the time to visit home after home without any signs of frustration before we found what we were looking for. He was very knowledgeable in the real estate industry and knew the market very well. He was also very honest and straight forward about the market and how we should proceed accordingly. There are so many agents out there to choose from but you can rest assured that you will only be getting the best and someone who is 100% on your side when you sign up with Sean Proctor Real Estate. Sean also has a great eye and pointed out features in the houses that we did not see ourselves. He also knew whether the homes were built with quality materials. Sean was also incredibly professional and diligent. My wife and I could not view homes during the day because of our work schedules so Sean made himself available to tour homes every evening. Sean even put an offer in on house for us when he was on Vacation. He stopped what he was doing for several hours while on Vacation to complete our offer and fax it to the listing agent. Ultimately after several weeks, and touring about 50 homes, none of which Sean pressured us to put an offer on, Sean helped us find a gorgeous home with all the criteria we were looking for. We told Sean to put an offer in on the house at the listing price. After Sean thought about it, he called us back and told us he thought we could get the house for less than the listing price so he advised we put a lower bid in. This is not something out prior agent would have done because it would have resulted in a lower commission for her. Sean, however, did not care if his commission was lower because he wanted to do the best he could for me and my wife. The offer was accepted at the bid Sean suggested and we have been living happily in the house ever since! I would definitely recommend Sean to anyone looking to purchase a home in the bay area.